Holiday cottage with whirlpool. 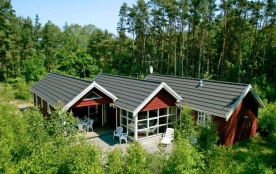 The cottage is situated on a natural plot with trees and has modern, Scandinavian furnishings. The mezzanine is a perfect hideout for the children. Big, modern bathroom with whirlpool, sauna and toilet. On the big terrace you can enjoy the sun all day long, and in the evening you can light the grill and have a great time. At a short distance you have a child-friendly sandy beach, and there is a 18-hole golf course approx. 3.5 kilometres away. 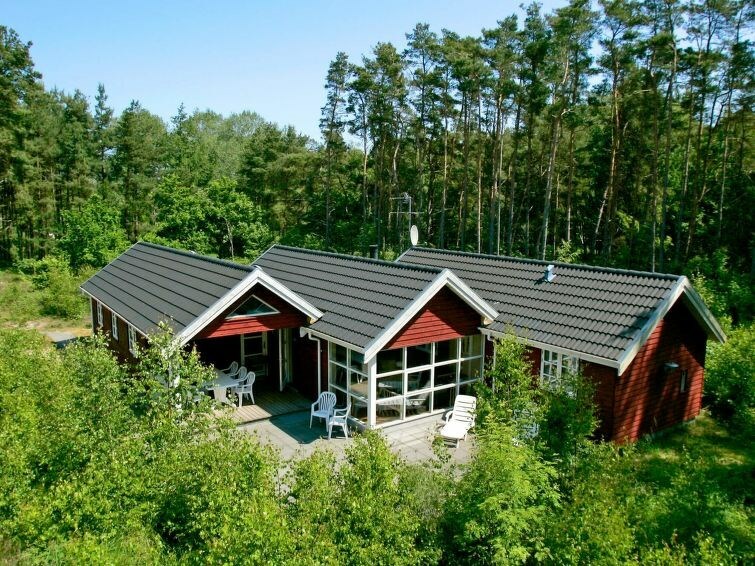 This cottage is ideal for 2 families. Bornholms Regionskommune - 10 pers.